The real progress in building partnership is far weaker than Moscow and Beijing try to demonstrate, but this is worrisome news for their East Asian neighbors. With the explosion of the Ukraine crisis in spring 2014, Russia made a determined effort to upgrade its strategic partnership with China and achieved instant success. Large-scale economic contracts were signed in a matter of a few months, and the military parades in Moscow and Beijing in respectively May and September 2015, in which the two leaders stood shoulder to shoulder, were supposed to show the readiness of two world powers to combine their military might. In fact, however, the partnership has encountered serious setbacks and as of spring 2016, is significantly off-track. It is the economic content of bi-lateral cooperation that has registered the most obvious decline. The volume of trade, which the officials promised to double in just a few years, actually contracted in 2015 by about a third comparing with 2014. The economic crisis in Russia and the sharp decline in purchasing power were the main reasons for this setback, and there are no reasons to expect an improvement in 2016 or in the years to come. The dramatic drop of oil prices in 2015 has not only devalued the much-trumpeted “400 billion dollars” gas contract signed in May 2014. It has also destroyed the economic foundation of the partnership because the development of “green fields” in East Siberia and construction of pipelines to China has become entirely cost-inefficient. President Vladimir Putin and President Xi Jinping have tried to downplay this weakening of economic ties by emphasizing their perfect rapport. But in fact this “beautiful friendship” is also far from sincere. Putin understands perfectly well the desire to strengthen personal power but the struggle against corruption, which is Xi Jinping’s method of choice in asserting his control, is for him a perilous path. Xi Jinping approves Putin’s boldness in challenging the US “hegemony” but is highly suspicious about his inability to ensure a smooth transition of power, which in China is a firm rule of the political game. The cultural gap between the elites in two states remains vast, and this guarantees the profound lack of trust between the leadership. Beijing has no reasons to worry about this derailed partnership, but Moscow – engaged in a dangerous and costly confrontation with the West – most certainly has plenty of worries. Attending the September parade in Beijing, Putin quite possibly understood the need to prove Russia’s value as a strategic partner to the mighty neighbor. The effectively executed intervention in Syria was one way to do it, and Xi Jinping was probably impressed with this boldness in projecting power. Yet in the six months since September that impression has gradually paled as the limits of Russian reach have become clear and the risks have accumulated. Fundamentally, China is not interested in Russia’s attempts at manipulating conflicts in the Middle East. After all, its core interests are in ensuring the stable flow of oil, which is not necessarily what Moscow wants to see. Russia cannot interfere with China’s expansion in Central Asia in the framework of the Silk Road Economic Belt initiative, and has very little to offer in terms of networks or influence in Africa or Latin America. The only region where it can do something that would be useful for China is, by default, the East Asia. Moscow may feel compelled to abandon its position of benevolent neutrality in various maritime disputes there and provide unambiguous support for China’s stance, which could make a difference in Beijing’s eyes. Russia may be reluctant to execute such a political maneuver in the South China Sea as it would ruin its relations with Vietnam – an old ally and one of the few states that remain positively inclined toward Russia. It would have fewer if any reservations in coming to China’s side in the East China Sea disputes, where Japan is the key party. Russia has its own territorial issues with Japan and the recently demonstrated readiness to escalate tensions by staging high-level official visits to the South Kuril Islands may be an indication of the possibility to support China in the next round of quarrels about the Diaoyu/Senkaku islands. China’s is certainly far more cautious than Russia in projecting military power for political purposes, but it monitors Russian experiments with great interest. The price for these experiments might appear prohibitively high as economic sanctions add to the decline of industrial production and set Russia on the rack of de-modernization. What makes this balance sheet less convincing is the fact that Russian economy had entered into the phase of protracted stagnation before the introduction of sanctions and the fall of oil prices. The political turn to the extensive use of military instruments was therefore aimed at launching a “patriotic” mobilization that would negate the impact of economic downturn. Had China’s economy continued on the trajectory of strong growth, no need in such risky experiments would have emerged for its leadership. The phenomenon of China’s uninterrupted growth might, however, arrive to an end, and the spasms in its stock market might be a symptom of deeper troubles. In the unfamiliar and disturbing situation of an economic crisis, Beijing may very well take a leaf out of Putin’s book on wielding military instruments for boosting domestic support. Moscow then will be only too happy to provide support for its mighty neighbor and thus escape from the position of the main challenger of the international order. Until recently, East Asian states, and first of all Japan, worried about the possibility of an alliance between Russia and China as the two rising powers. Now they have more reasons to worry about the maverick behavior of declining Russia and wavering China. Both have failed to build a solid economic foundation for their partnership but may find it opportune to back one another in using military power as an effective instrument of revisionist policy. 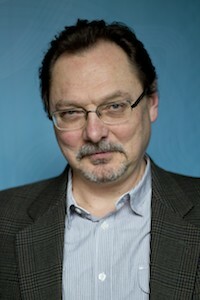 Pavel K. Baev is is a Research Director and Professor at the Peace Research Institute Oslo (PRIO) in Norway. He is the author of “Russia’s pivot to China goes astray: the impact on the Asia-Pacific security architecture”, Contemporary Security Policy, Vol.37, No.1, pp.89-110. It is available via Open Access here.